It was called the Storm of the Century and remains one of the worst natural disasters in Canadian history. 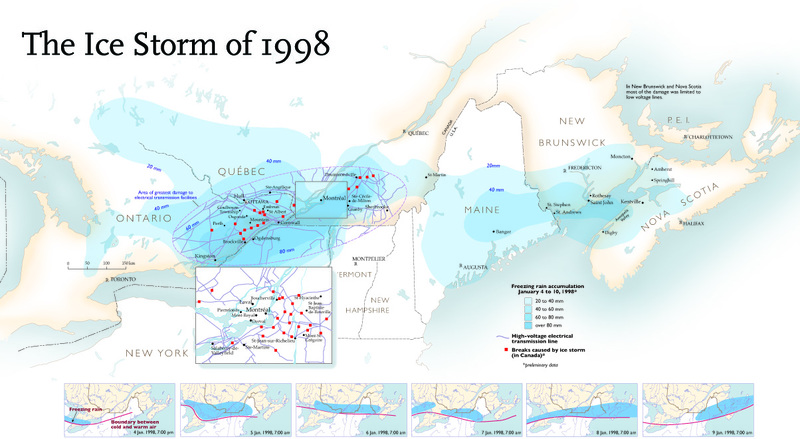 Late in the evening on January 4, 1998, warm rain from the deep south hit a cold, dry front over the St. Lawrence River Valley and froze as it fell, pouring more than 80 millilitres of ice — enough to cover an area as large as the Great Lakes — onto parts of eastern Ontario and Quebec for six days. 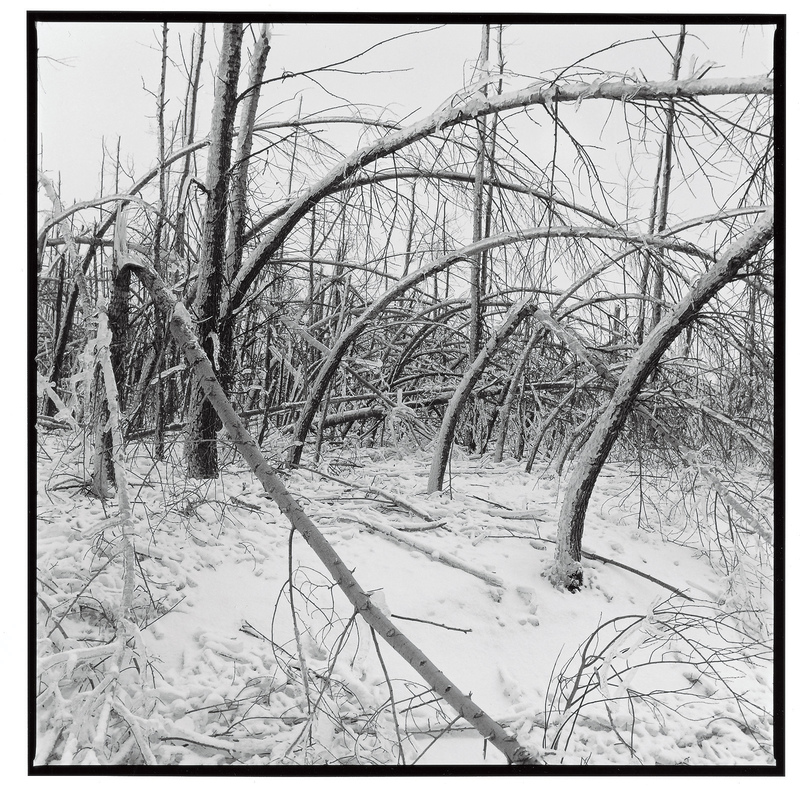 Cedar, white pine and willow trees bent and snapped under the weight of the ice, taking power lines down with them. 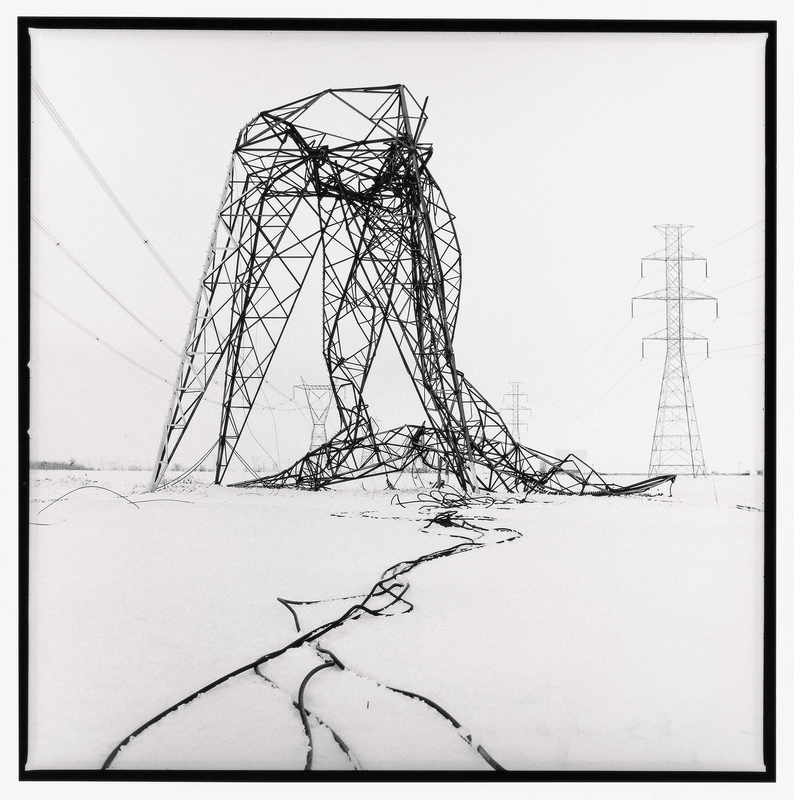 Transmission towers crumpled. Daily life ground to a halt. Twenty-five people died, several from carbon monoxide inhalation after trying to heat their homes with gas barbecues and other appliances. But people pulled together. The Canadian Forces enacted “Operation Recuperation,” deploying 15,000 personnel to help in any way possible, the largest ever peacetime deployment. The heroes of the day? "The Hydro-Quebec lineman who risked all by dangling from a helicopter to refit a high-tension cable to a tower; the broadcasters on CBC Radio One who unhaltingly fed the airwaves with reports on damage, repairs, relief and weather; the neighbours who hauled generators house-to-house; the soldiers who carried seniors from frigid residences to shelters; the countless volunteers who fed, bedded and comforted the homeless thousands,” wrote Harris. Canadian Geographic sent Montreal-based photographer Benoit Aquin to capture the aftermath of the storm. Here are some of his striking photos along with a map of the storm's path. 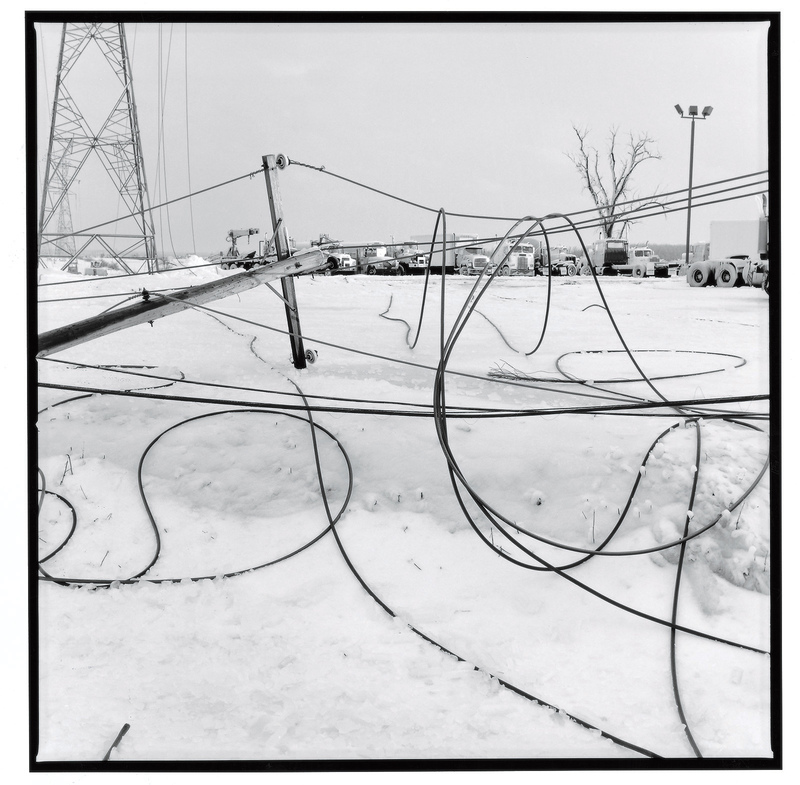 Crumpled pylons, fallen poles and snarls of lifeless wire littered the Boucherville region east of Montreal, hard hit by six days of freezing rain. The storm passed but the sky remained as moody as the millions left without heat and light. Ice overpowered everything, bringing down lines, coating buildings, and bending to the breaking point trees like this birch in a Westmount yard. 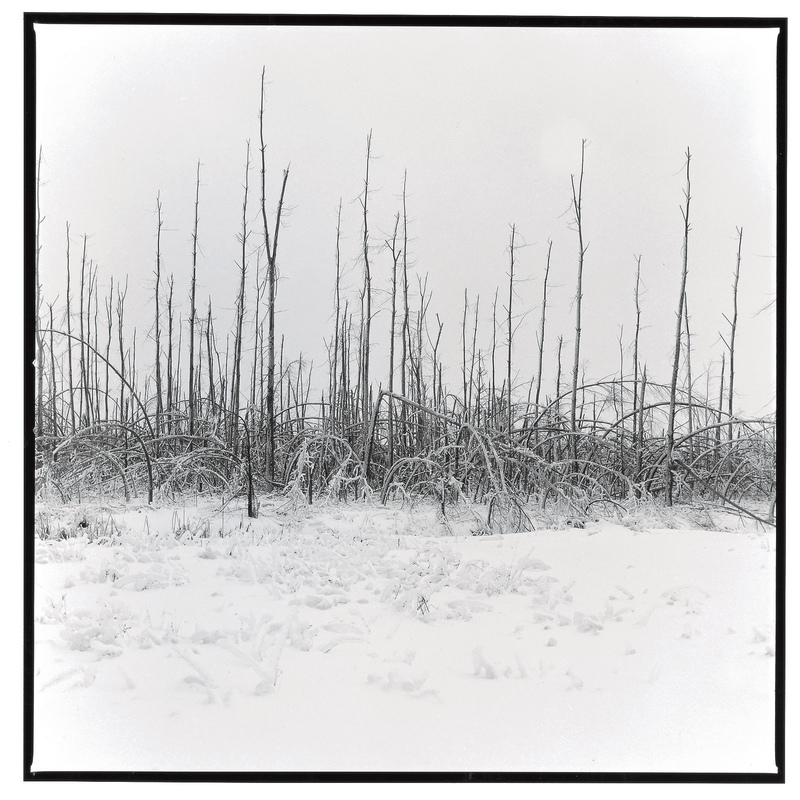 The wonder is that any trees were able to remain upright under the crushing weight in the hardest-hit areas. The ice storm was one of the most persistent in recorded Canadian history. Some of these trees at Mont-Saint-Grégoire, southeast of Montreal, may be permanently deformed or so damaged they may not recover. 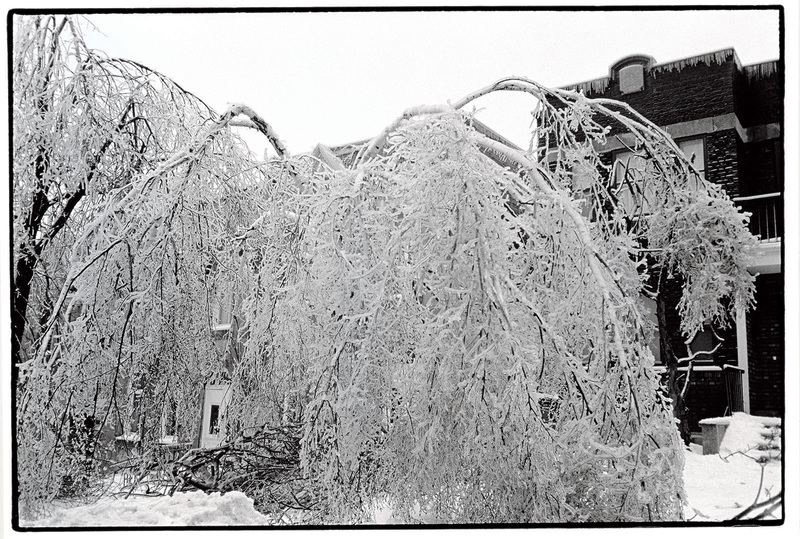 Did you live through the Ice Storm of 1998? Share your experience in the comments.